Essential medical supplies for wound care should be kept on hand at all times for first aid emergencies. Most companies with first aid kits have adequate supplies of gauze, compressors and wound care dressings for accidents in the office or on a job site. 1staidsupplies.com offers a full line of wound care products that can be purchased for first aid kit refills or extra medical supply for the home or office. 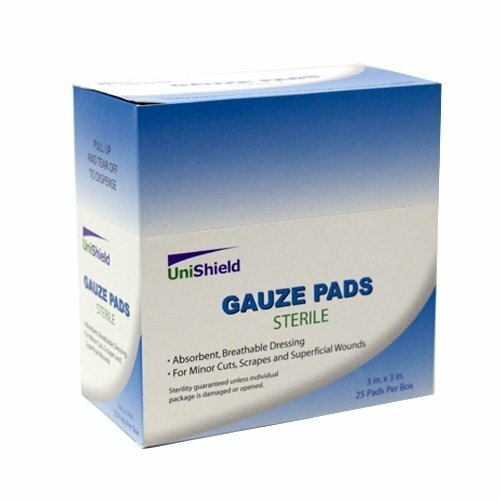 We offer sterile gauze pads for bandaging and wound cleaning that helps control bleeding and is flexible and absorbent. We also have gauze roll bandages in non sterile and sterile varieties for dressing wounds. Emergency compress bandages and sterile tip applicators are offered in this category of first aid supplies as well. Please browse the first aid products below for more information on each product unit we offer. Make 1staidsupplies.com your choice for first aid supplies nationwide. Sterile, self-adherent, and conforming Kerlix gauze roll bandage perfect for holding dressings on large wounds. Emergency first aid.